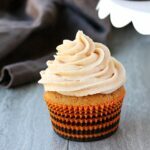 Pumpkin Cupcakes! This sweet moist pumpkin cake is topped with cinnamon cream cheese frosting giving you a match made in pumpkin spice heaven! The perfect fall dessert recipe. I am not stranger to the pumpkin craze. 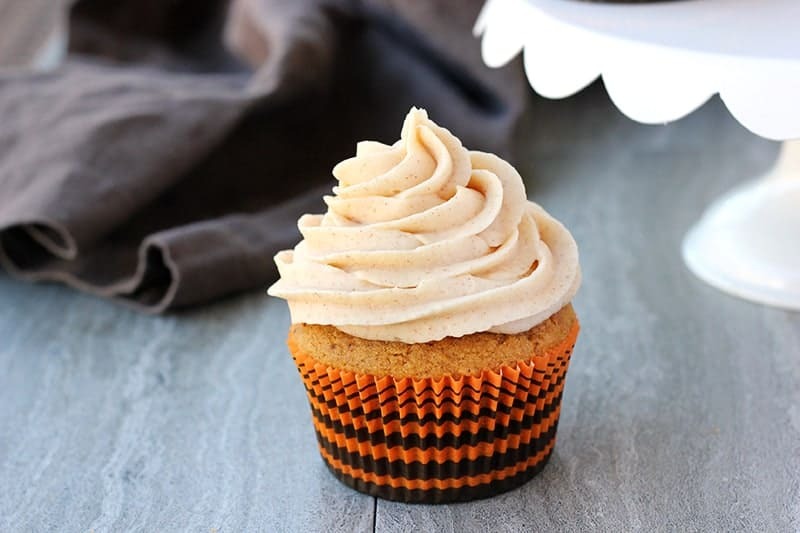 They are unbelievably moist, full of pumpkin flavor, and paired beautifully with the most indulgent cinnamon cream cheese frosting. The real reason these are on the top of our list is because they are incredibly simple. 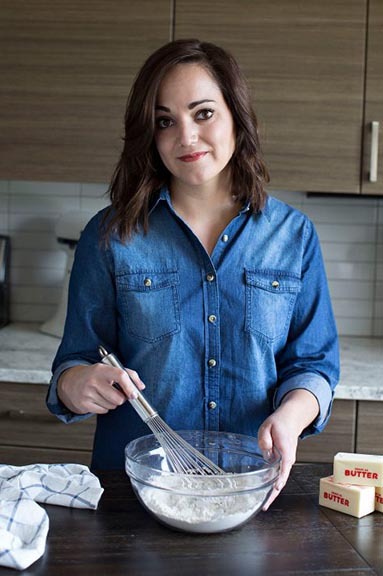 Toss all of the ingredients into a bowl, whisk with a hand mixer, and bake. Easy as 1-2-3. WARNING – You will eat tons of the frosting before it makes it to the cupcakes. I’m not a big cream cheese fan but this is beyond amazing. The addition of cinnamon makes this smell divine. You’ll have to go in prepared to test your willpower because the second that sweet smell hits the air you will be tempted to dip into the bowl for a taste. One bite will lead to spoonfuls making their way to your tummy. The same problem occurs with the cake itself. It is delish all on it’s own. We’ve even tossed in a handful of pecans or chocolate chips and nixed the frosting for a fun variation. Like this recipe? You will love my Pumpkin Granola, Pumpkin Spice Coffee Creamer, and Pumpkin Oatmeal! Line 2 cupcake tins with paper liners and set aside. In a large bowl whisk together the flour, 1 teaspoon cinnamon, nutmeg, ginger, cloves, allspice, salt, baking powder, and baking soda. In a separate bowl combine the oil and both sugars. Whisk in the eggs, milk, and pumpkin. Fold in the dry ingredients until fully incorporated. Divide the batter between your prepared cups. Bake 22 minutes or until a toothpick comes out clean. For the frosting, beat together the cream cheese and butter until fluffy. Add the cinnamon, vanilla and powdered sugar. Mix until smooth. oh my goodness! These loom amazing! I love pumpkin as well and would love to bake these! I have a feeling these would not last long at my house! These are perfect for Fall baking! Love that you created a non alcoholic version! 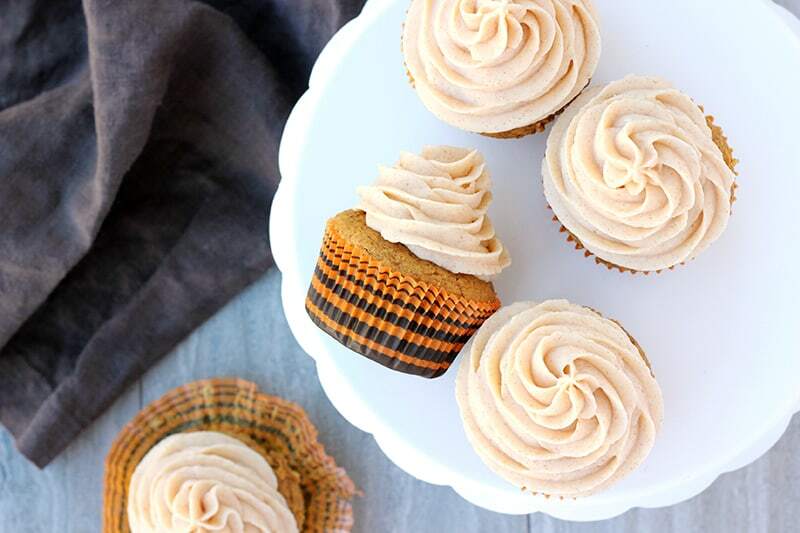 Oooh- you had me at Pumpkin Pie Frosting. YUM! Thank you! Oh wow, these look divine! YUMMO!! Thanks for letting me know! I will come share it for sure! Pumpkin… and Chocolate, oh we can be friends. This looks delicious, I found you at the CSI Project! This is a perfect choice for fall dessert.